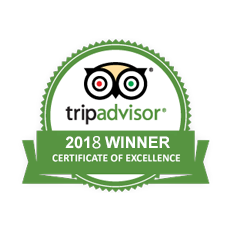 Maharajas' Express the proud winner of the prestigious World's Ultimate Service Award in Hospitality 2017 features two onboard fine dine restaurant cars. The two multi-cuisine restaurant carriages serve delectable food in an elegantly themed ambiance that are befitting to their names. 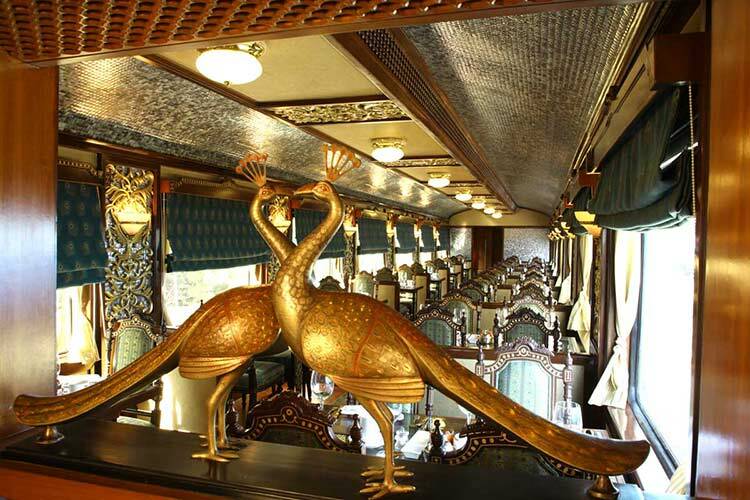 There is a golden peacock emblem to welcome the guests into the vibrant yet regal fine dine restaurant. The ceiling features colorful hand painted frescoes that adds color to the vibrant thematic restaurant. 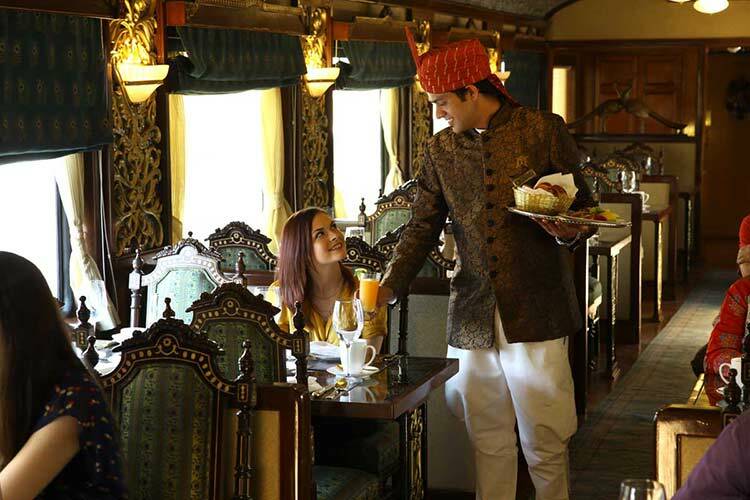 The Maharajas' Express fare includes daily meals served on-board in the restaurant or off-board trips.  Guests can select their choice of one complimentary wine with breakfast / lunch / dinner from a large menu including Table d’Hote meals. 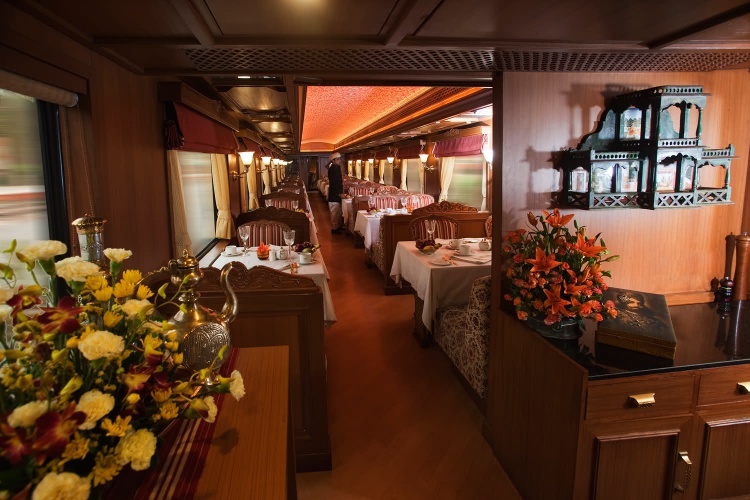 Guests can comfortably enjoy the panoramic view from window side seating arrangement of two or four in both lavish restaurant cars that accommodate 42 at a time. 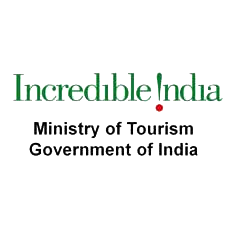 Staff in traditional attire serve multi-cuisine dishes specially prepared by chefs in fine plated cutlery to delight the travelers. 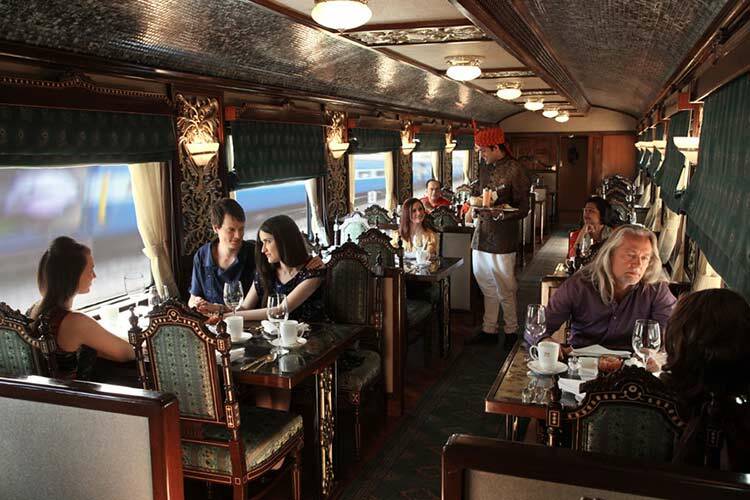 The Maharajas' Express fine dine restaurant cars also have options for travelers with special dietary requirements.  Such guests and other travelers who like less spicy meals can request for the same in advance. Special meals in both restaurants are prepared with fresh ingredients of the land stocked from each destination to add a specialty to the wholesome meal collection. 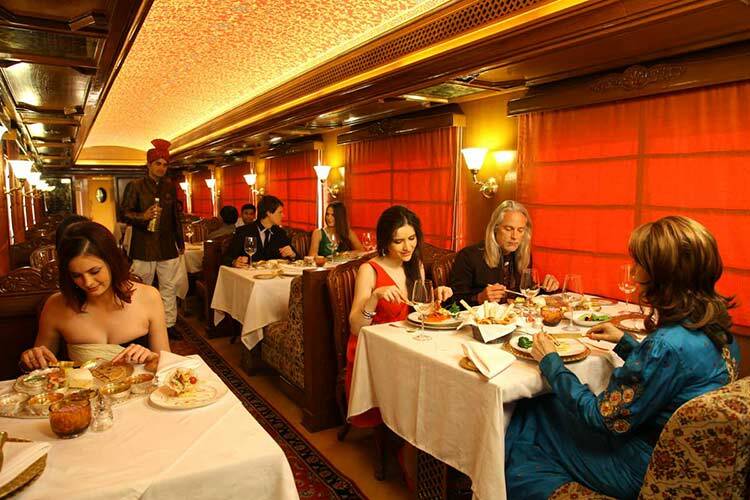 It is an unforgettable experience to fine dine in any of the two lavish dining cars of the luxurious Maharajas' Express Train in India.